December Mince Pie Meeting is on THURSDAY 11th December! 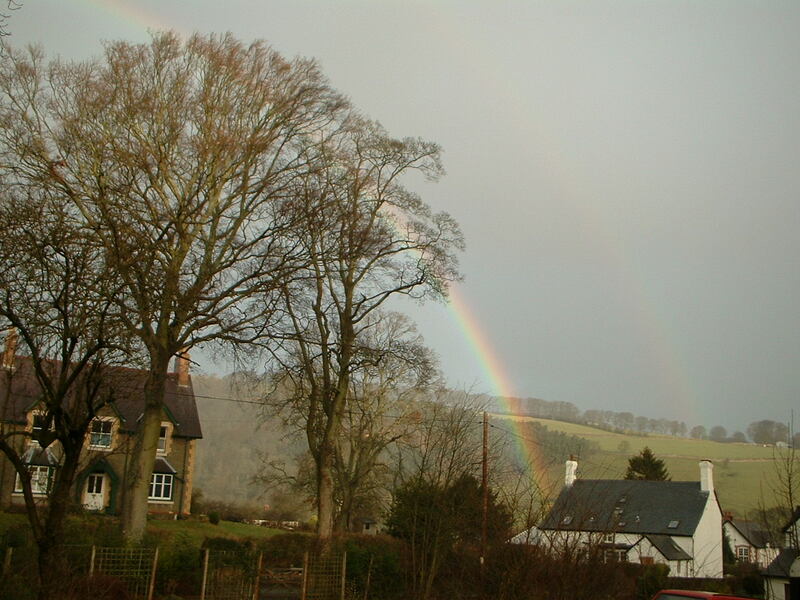 Our next get together will be in Llanarmon DC and include both Diana’s studio (with its new roof!!) and John Swogger’s new studio in his newly converted chapel just across the stream from Diana’s place. We hope the weather will not let us down, but suggest you dress warmly. 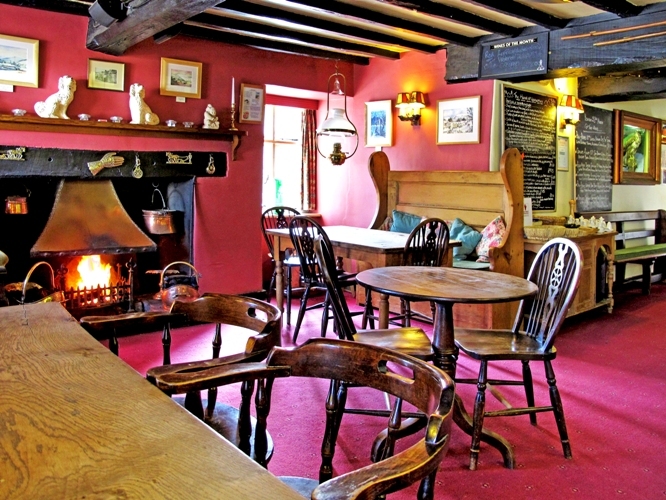 If you would like, and have time to start with a soup and roll lunch in the bar at The Hand at Llanarmon from about 12.30-1.0 ish( In the centre of the village and 3 mins walk to Diana’s place) some of us are thinking of indulging ourselves. It would be a lovely chance to have an extended festive gathering. Diana is happy to book likely numbers with The Hand, so please let her know by 1st December dianabaur@hotmail.com, as even on a Thursday in December, bookings at the Hand are likely to be more vigorous than usual! We now have 7 booked in, with, a total of 12 seats reserved – therefore I’m afraid only the potential for 5 or at a pinch 7 more if the small table for two is added. (Unfortunately the long table has already been booked) SO IF YOU WANT TO JOIN US PLEASE LET ME KNOW ASAP – FIRST COME FIRST SERVED! 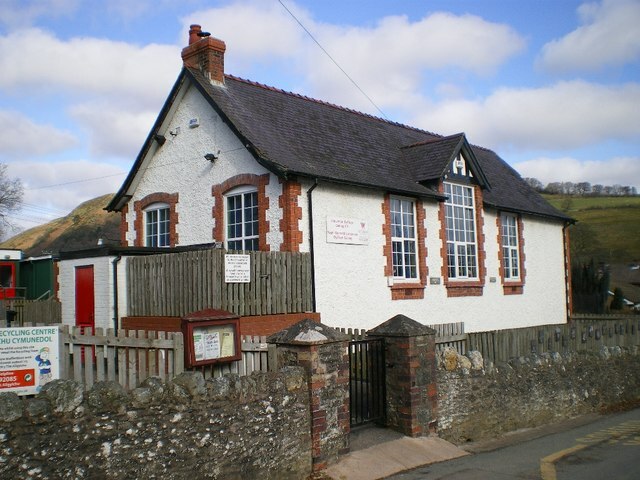 Llanarmon Village School on the way up the road……. And the bar inside The Hand. Look forward to seeing you then, if not before. 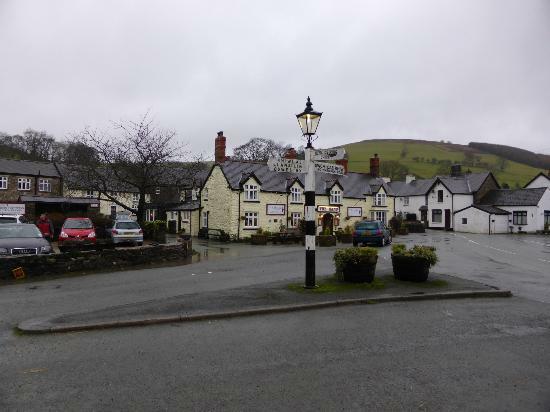 Directions:Turn off the A5 at Chirk and follow the B4500, signposted to the Ceiriog Valley. 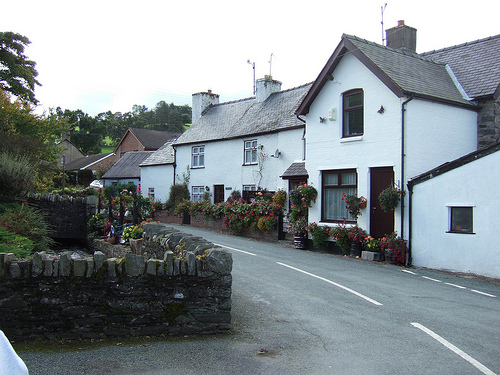 Llanarmon Dyffryn Ceiriog is at the head of the valley and The Hand Inn is right in front of you as you come over the bridge into the centre of the village. Diana’s house is Glandwr, Llanarmon DC, LL 20 7LF and is the fifth white house on the left, just after the school on the right on the road to Llanrhaeadr YM that goes up past the right hand side of The Hand. 01601600340 – but bear in mind that we have no mobile signal this far into the outback! It would be most useful to know if you are able/intend to come to the meeting, (whether or not you come for soup at the Hand first), so we have some idea of numbers. I shall probably make it for around 4 oclock at Johns house. Looking forward to it.